Regular contributor of wonderful images taken on his trips to Japan, Paul Wheeler, shares a few taken on a recent visit. 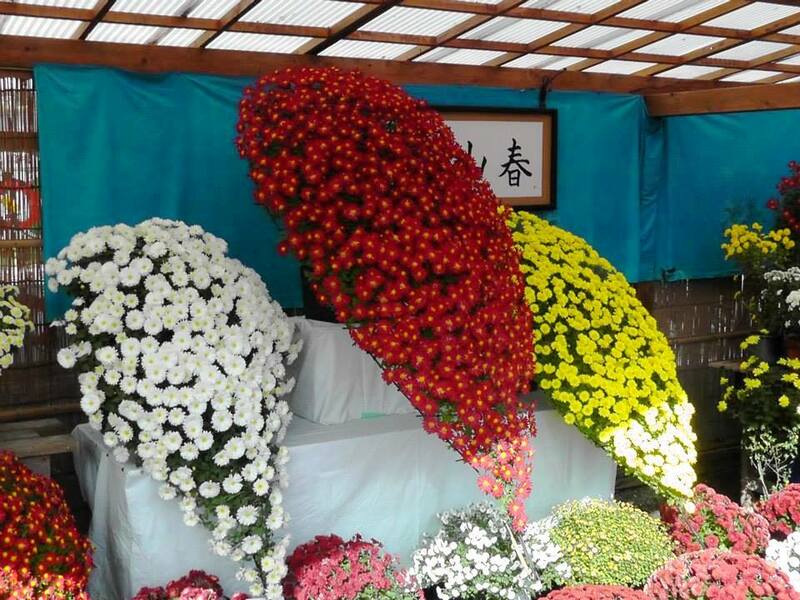 Paul has started using the still shot capacity in his video camera, some of which are shown on this page were taken during the annual Bunkyo Kiku Matsuri (Chrysanthemum Festival). 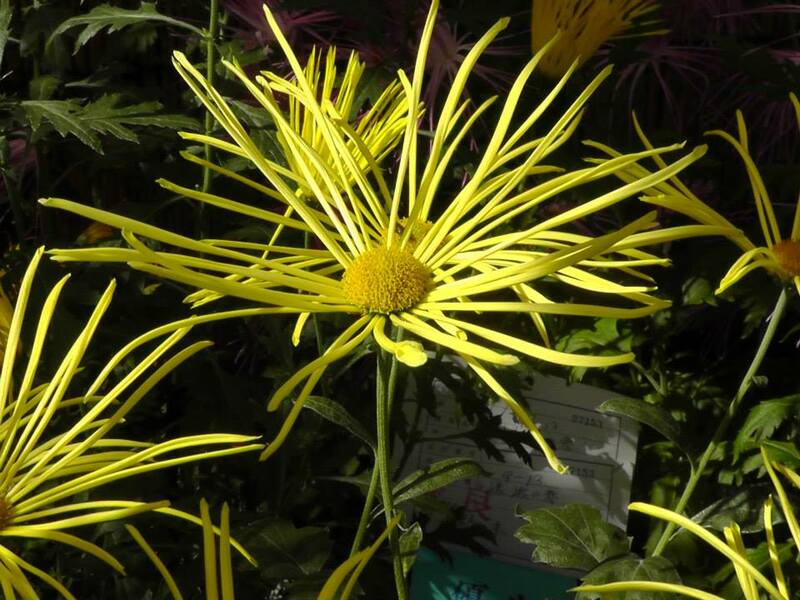 The Bunkyo Kiku Matsuri (Chrysanthemum Festival) and Chrysanthemum exhibitions are held throughout Japan in Autumn. 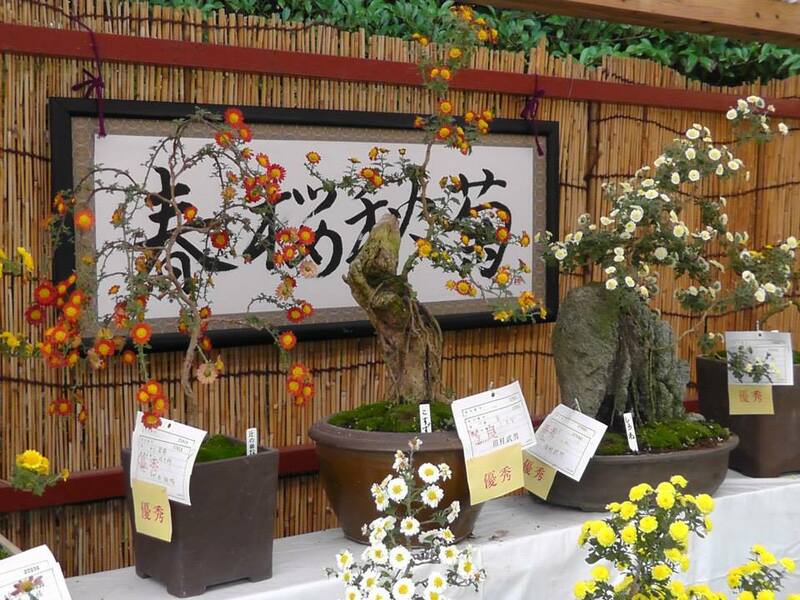 For Japanese people every month has a flower and appreciation of these has been part of Japanese culture for centuries. Japanese people even have a term for this ‘hanasanpo’, which literally means ‘flower walk,’ to describe the activity of admiring and walking in among these seasonal blooms. 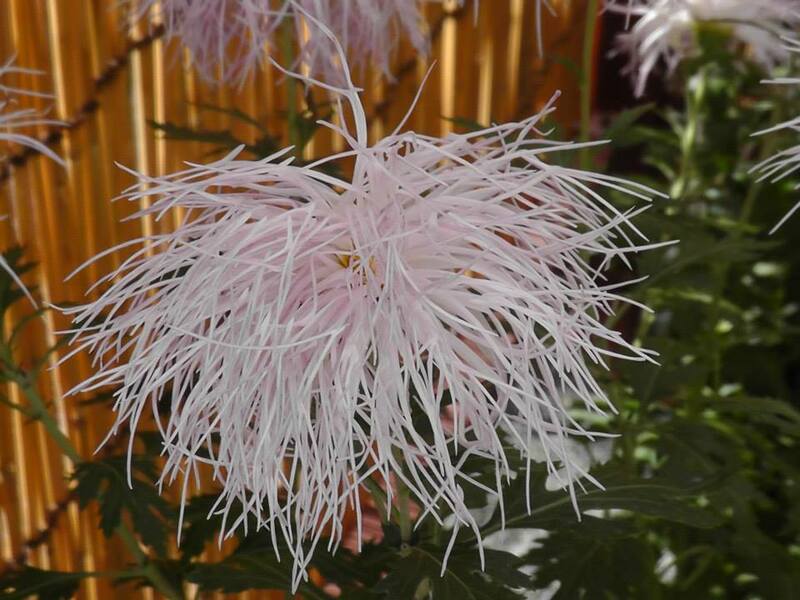 The Chrysanthemum, or Kiku in Japanese, is a symbol that represents longevity and rejuvenation as, when brought from China, the story of a town whose residents all lived to over 100 years old, where the water came from a mountain spring surrounded by chrysanthemums came with it. 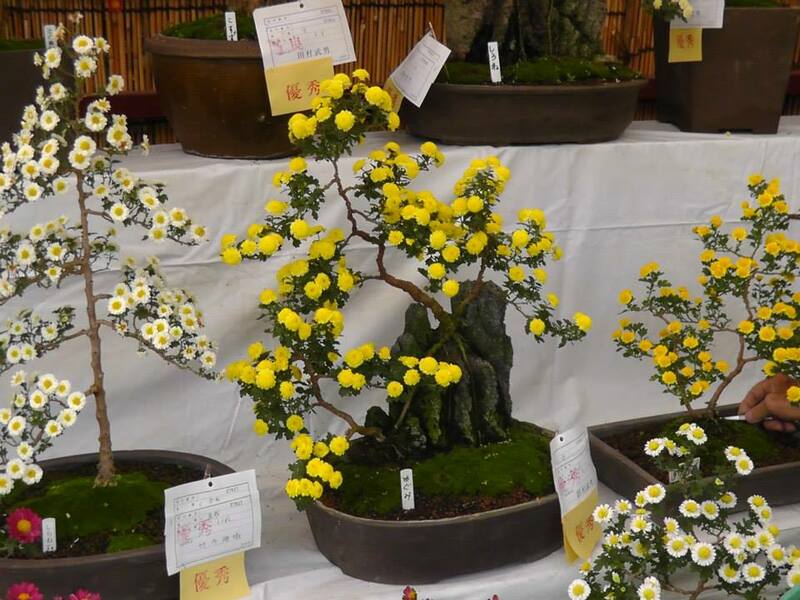 The Chrysanthememn was introduced to Japan during the Nara period (710 – 793 AC). 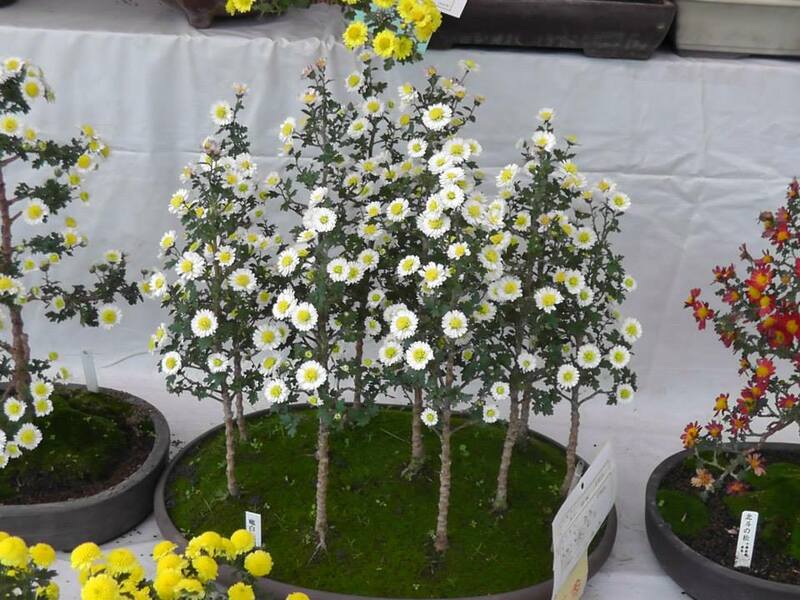 The Japanese Royal Family was fascinated with the Chrysanthemum and it became the Imperial Family Emblem. 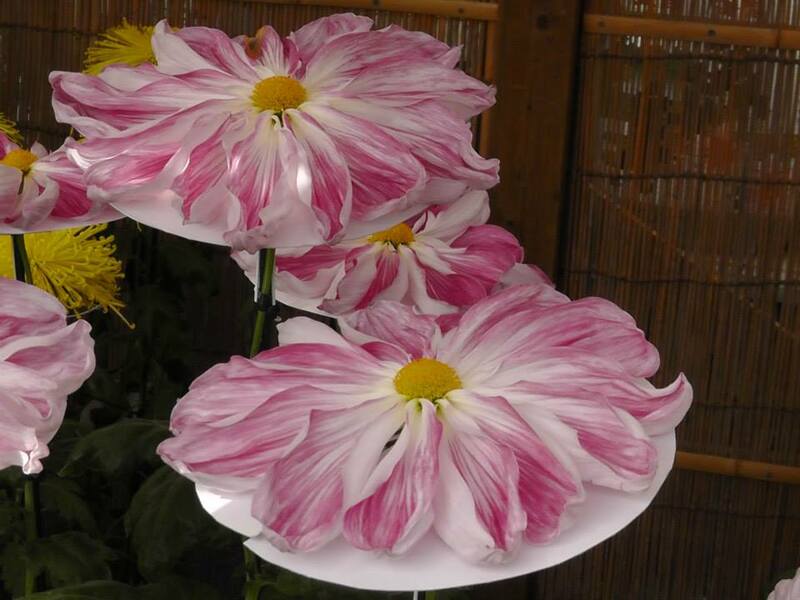 There is also the Supreme Order of the Chrysanthemum which is the highest Japanese honour order awarded by the Emperor. You can also find the Chrysanthemum on the 50 yen coins and on Japanese passports. 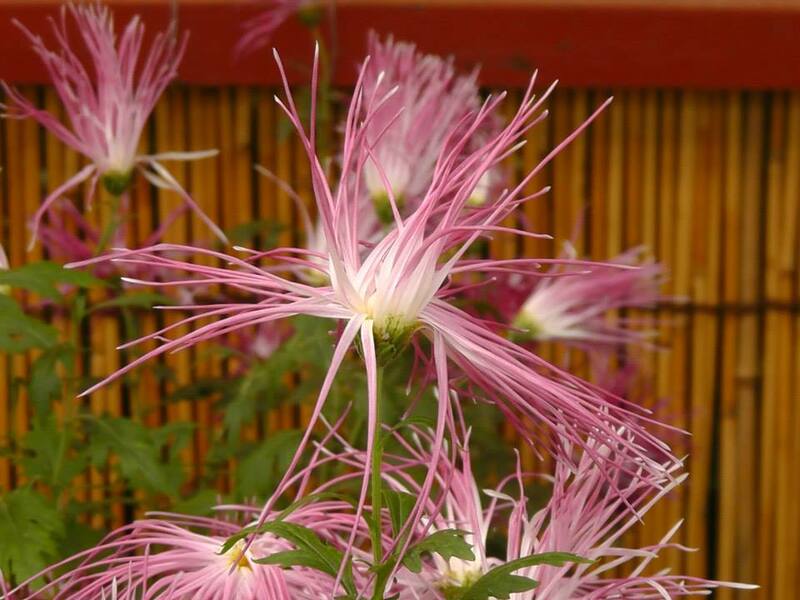 Japan has developed the original flower, through selective breeding, into many forms. 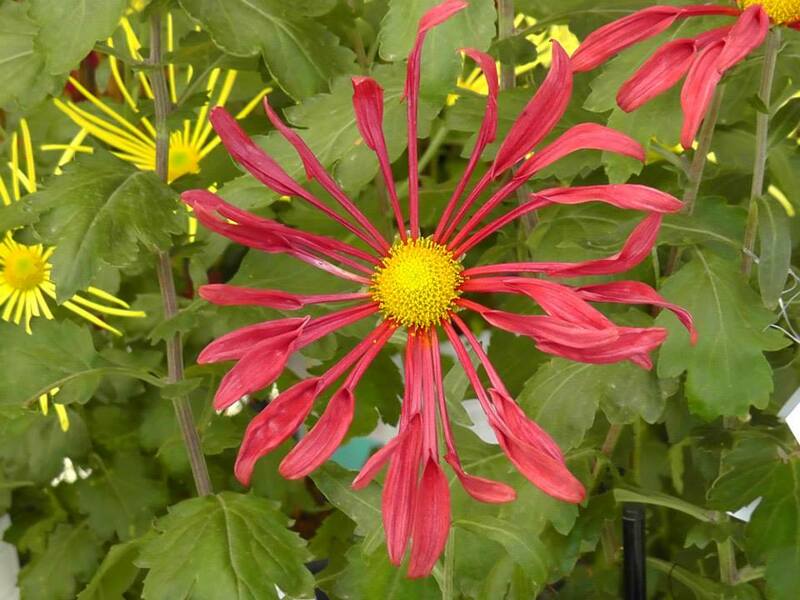 Some in Paul’s pictures show a type that's said to look like a paintbrush or others with long, thin, spidery petals or one known as the Edo variety which begins as a normal chrysanthemum but as the flowers age, the petals will twist and spiral around the center of the bloom. Pretty amazing as well as beautiful. 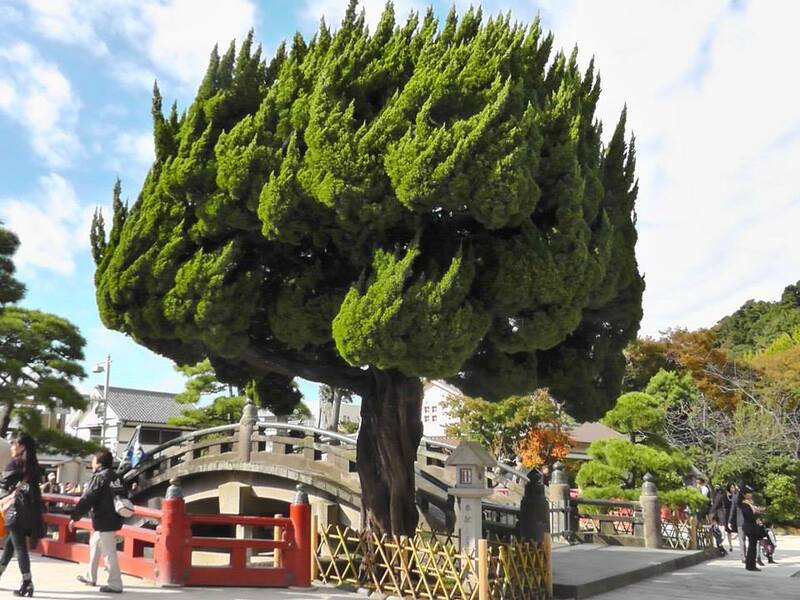 All the flowers and this wild tree were at the Tsurugaoka Hachiman-gū shrine one of the most important Shinto shrines in Eastern Japan and Hachiman as seen in the guardian of the nation the temple dog is on the steps up to the main building. Tsurugaoka Hachiman-gū was established by Minamoto Yoriyoshi ( 988-1075) in 1063. He built a power base for the Minamoto warrior clan in the east of Japan after the suppression of a rebellion started by clans in the North East of Japan in 1051. He returned to Kamakura, and built a small shrine for the Hachiman kami (the Japanese word for Shinto deities) near the coast to give thanks for success in suppressing the rebellion. The Hachiman kami was regarded as the protector kami of the warrior class. Kamakura (Kamakura-shi) is a city in Kanagawa Prefecture, Japan, about 50 kilometres (31 miles) south-south-west of Tokyo. Surrounded to the north, east and west by hills and to the south by the open water of Sagami Bay, Kamakura is a natural fortress. Before the construction of several tunnels and modern roads that now connect it to Fujisawa, Ofuna and Zushi, on land it could be entered only through narrow artificial passes, among which the seven most important were called Kamakura's Seven Entrances, a name sometimes translated as "Kamakura's Seven Mouths". The current Tsurugaoka Hachiman-gū owes its origins to Yoriyoshi’s descendant, Minamoto Yoritomo (1147-1199), head of the Minamoto clan. Yoritomo came to Kamakura in 1180 to raise the flag of revolt against the Taira clan which had come to dominate Japanese politics in Kyoto especially after 1160. The reason Yoritomo chose Kamakura as his base was because it was here that his great ancestor had successfully put down the 1063 rebellion. He moved the shrine to the present site and built a more magnificent shrine. 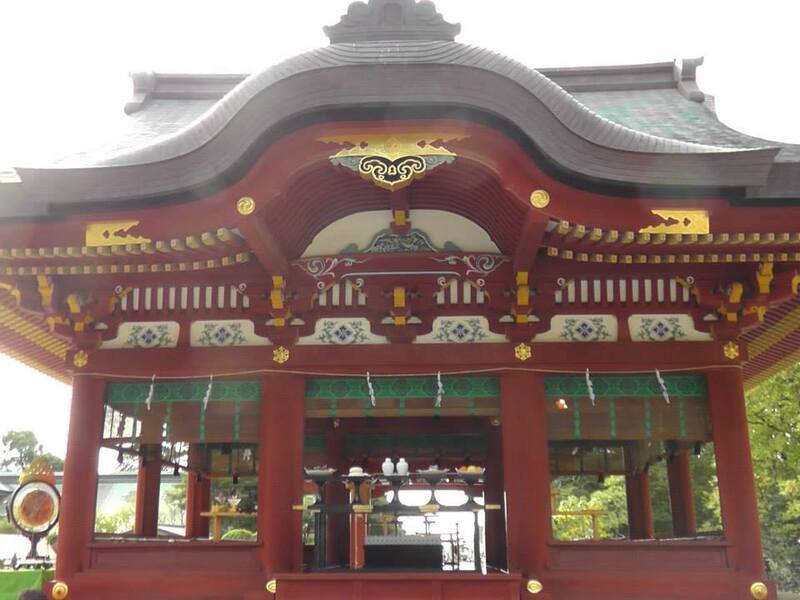 This new shrine was called Tsurugaoka Wakamiya, which means the 'new shrine at Tsurugaoka'. This conflict between the Taira and Minamoto clans resulted in victory for the Minamoto clan, and brought to an end the Heian period which had been dominated by the court nobles. In 1192, Yoritomo was appointed shogun which established the Kamakura shogunate(1192-1333). This shifted the centre of Japanese politics from Kyoto to Kamakura and was the first samurai regime in Japanese history. The supremacy of the samurai lasted thereafter until the Tokugawa shogunate collapsed in 1867. Thus, it can be said that Yoritomo laid the foundations for 675 years of samurai rule. He was thereafter respected as an ideal leader, and Tsurugaoka Hachimangu became a religious authority for subsequent shogunates. Yoritomo developed Kamakura as his capital city, and set Tsurugaoka Hachiman-gū in the centre of the city. While Kamakura was the capital city of Japan, Tsurugaoka Hachiman-gū played an important role not only as a religeous authority where the shogunate held many majestic rituals, but also served as the political centre of the realm. Tsurugaoka Hachiman-gū was founded on Yoritomo’s faith and respect for his ancestors’ achievements. Yoritomo’s devotional to Tsurugaoka Hachiman-gū was deemed to be an ideal to which subsequent shoguns and samurai should aspire. Subsequent shoguns and their followers worshipped Tsurugaoka Hachimangu as Yoritomo had done, and built shrines for Hachiman kami throughout Japan. In Japanese beliefs, Hachiman (Hachiman-jin) is the syncretic divinity of archery and war, incorporating elements from both Shinto and Buddhism. Although often called the god of war, he is more correctly defined as the tutelary god of warriors. He is also the divine protector of Japan and the Japanese people, and the Imperial house, the Minamoto clan ("Genji") and most samurai worshipped him. The name means "God of Eight Banners", referring to the eight heavenly banners that signaled the birth of the divine Emperor Ōjin. His symbolic animal and messenger is the dove. Since ancient times Hachiman was worshiped by peasants as the god of agriculture and by fishermen who hoped he would fill their nets with much fish. In Shinto, he became identified by legend as the Emperor Ōjin, son of Empress Jingū, from the 3rd–4th century of the Common Era. Hitaki-sai (Harvest Thanksgiving Ritual) held on November 8th 2015: This ritual is held to express our gratitude for the bountiful harvest and pray for good health of worshippers. 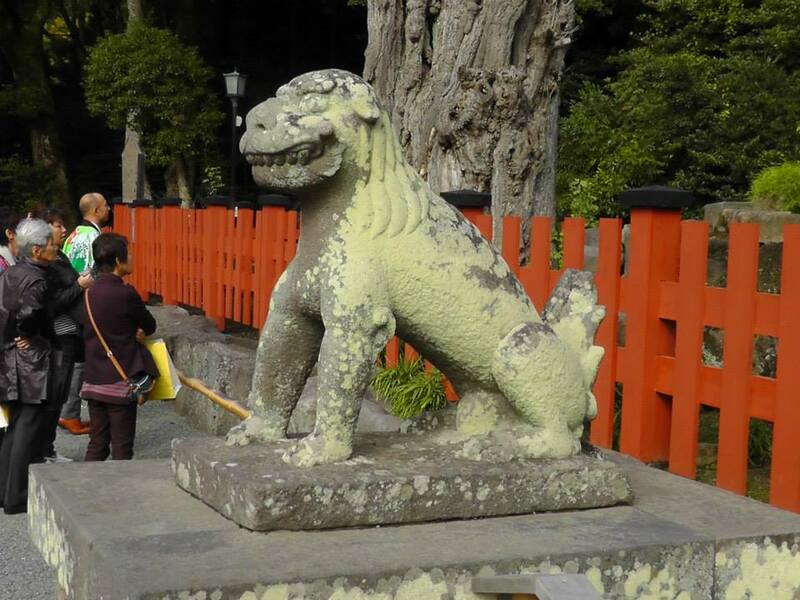 On this day, many Inari shrines, which enshrine the kami of harvest, conduct Hitaki-sai. A traditional dance, which is accompanied with simple sounds of Japanese flutes and drums, is also dedicated after the ritual at Maruyama Inari Shrine. Shinto priests of Tsurugaoka Hachimangu have handed it down since the Kamakura era (1185-1333). The dance is called “Kamakura-kagura” and is designated as an intangible cultural asset of Kamakura city. Page by Paul Wheeler, 2015.